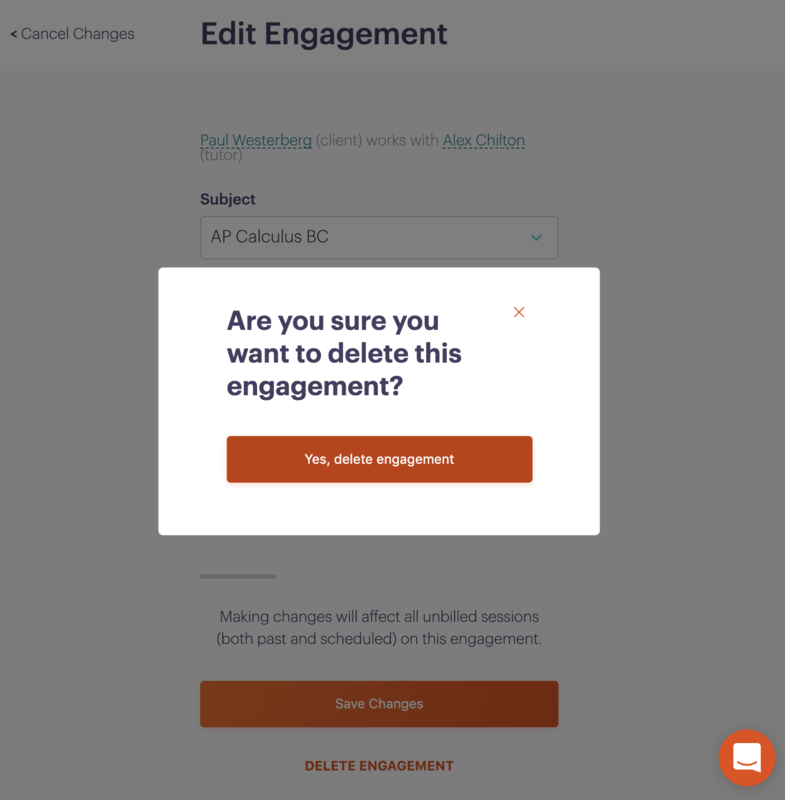 If you created an engagement by mistake or entered the wrong info, or if it's just no longer relevant, here's how to edit or delete it. 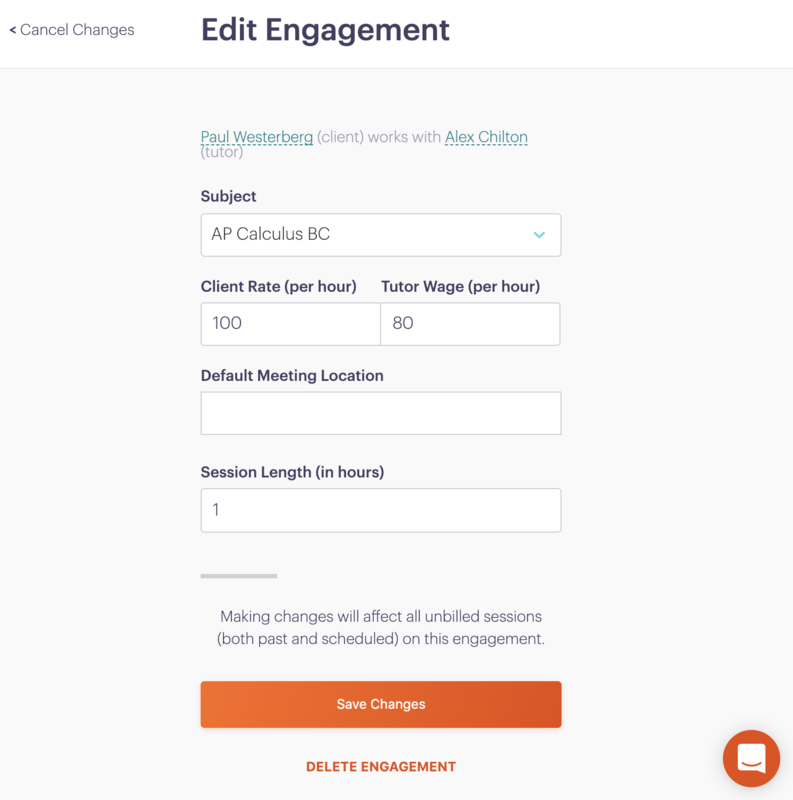 Click on the pencil icon in the top right corner of the engagement summary. Change whatever information you'd like, or cancel the changes in the top left corner. 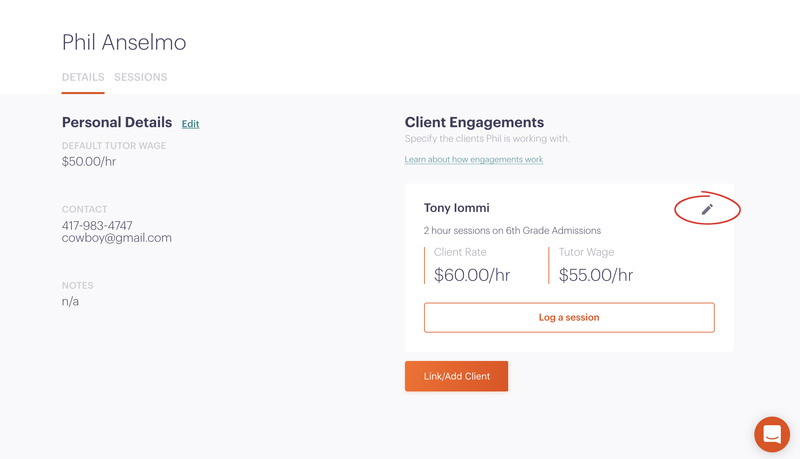 Make sure your engagement has no unpaid invoiced sessions. If it does, you can cancel the invoice or wait until the invoice has been paid. Click to edit the engagement. 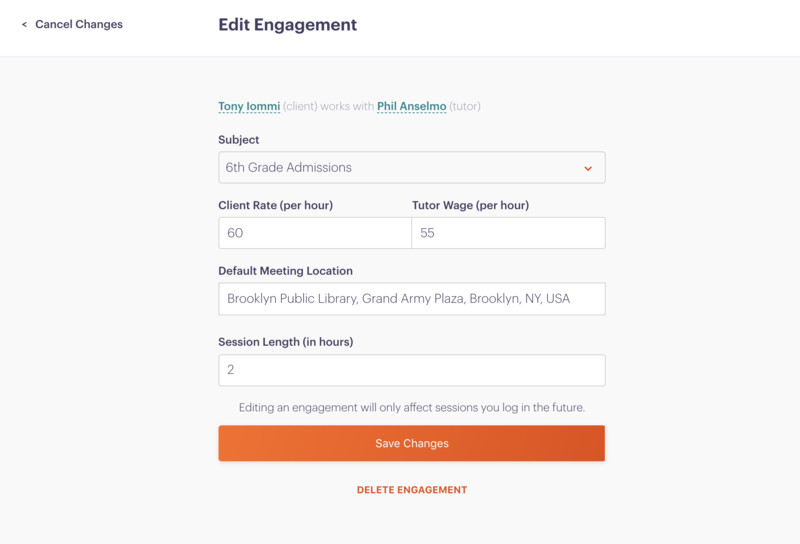 An engagement without sessions or with sessions that are all paid for will have 'Delete Engagement' in red at the bottom. Simply click 'Delete Engagement' and confirm in the pop up. Voilà! the engagement is gone!